We are pleased to announce a new partnership with MikroGraf, a Denmark-based software and consultancy firm, to bring our structural engineering software and services to customers in Denmark. Focused on 3D products for designers and architects as well as 3D graphics and animation solutions, MikroGraf has already been representing leading products of other Nemetschek Group brands, such as Vectorworks and Maxon. The company has now expanded its portfolio by SCIA Engineer, the structural analysis and design software from SCIA, to further complete its offering to the Danish construction industry. 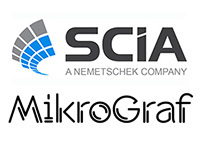 “The partnership with MikroGraf will allow us to provide better services to our SCIA Engineer customers in Denmark as they will benefit from local expertise and customer support at hand,” said Herman Oogink, Head of Strategic Alliances at SCIA. “We are excited to enter the partnership with SCIA, a leader in structural engineering software, to provide the Danish structural engineers with a tool that will help them boost their productivity,” said John S. Hansen, Owner and CEO at MikroGraf. SCIA Engineer is an integrated, multi-material structural analysis and design software for a wide variety of projects: office and residential buildings, industrial plants, bridges, etc. The software enables modeling, analysis, design and reporting – all done in one intuitive environment while adhering to the coding specifications of Denmark. It supports OpenBIM and is IFC certified for both export and import. The software is being already actively used by a number of Danish engineers. To learn more about SCIA Engineer offering in Denmark, please contact MikroGraf directly or contact us.